Phytoestrogens Xenoestrogens & Male Fertility! I've been reading your male estrogen pages with great interest, as I have some of the symptoms of high estrogen levels. I have a minor case of Gyno that I developed in my early 20's, and I'm also quite a bit overweight. In addition to that, I work in a very toxic environment, where I'm exposed to a wide range of chemicals in my workplace. My problem is, my wife and I have been attempting to conceive our first child for the last 11 months, without any success. Testing by our fertility doctor has confirmed that I'm the problem. I'm not infertile, but I have a very low sperm count. My question is, do you think that elevated estrogen, combined with my chemical exposure at work, could be part of the problem. Any feedback you could give me would be greatly appreciated! In answer to your question, yes, elevated estrogen, and chemical exposure can clearly cause low sperm count in men. One study found that men with high estrogen, had 50 percent lower sperm count, when compared to the controls, who had normal estrogen levels. 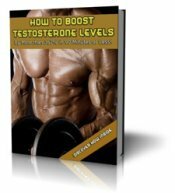 In essence, your elevated estrogen has shifted your hormone profile into the feminine zone. Think about it for a moment, you've even grown breasts! Let the onslaught continue, and low sperm count will be the least of your worries. Think enlarged prostate, testicular atrophy, heart disease, stroke, diabetes, and even hormonal cancers. It's a sad state of affairs here in the US. A study a while back found that the average 54 year old man, has higher estrogen levels than the average 59 year old woman. That's scary, but not really too surprising when you really think about it. We consume livestock, injected full of estrogenic hormones, are exposed to chemicals in the water we drink, the food we eat, and the air we breath. Sadly, this is just the way it is in the modern, industrialized world. An enzyme called aromatase resides in your body fat. 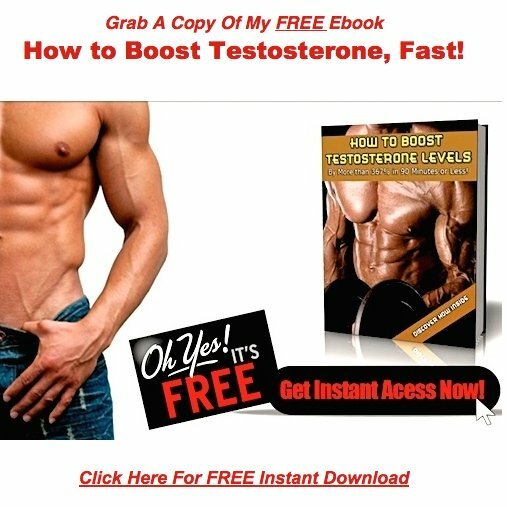 This enzyme has one primary duty, which is to convert the testosterone in your blood stream into estrogen. The lower your bodyfat levels, the less active aromatase will be in your system. Consume only organic produce, and antibiotic free, hormone free, meat. It's going to cost you a bit more, but the cost is worth it. You can find natural alternatives for just about everything from your toothpaste, to your deodorant, to your laundry detergent. Nettle root, chrysin, and DIM are the three I recommend. You can read more of about these supplements towards the bottom of This Page. Avoid other forms of chemical exposure at all costs. This is going to be tough for you, because of your chemical exposure at your workplace. If I were you, I'd be looking into other alternatives. Which do you value most, your job, or your masculinity!